Nick & Andrea are leaders in the real estate community with a reputation for integrity, dedication and as equally important, we are known for achieving results. Their professional, motivated and trustworthy Team Members are committed to delivering quality service for both buyers and sellers. 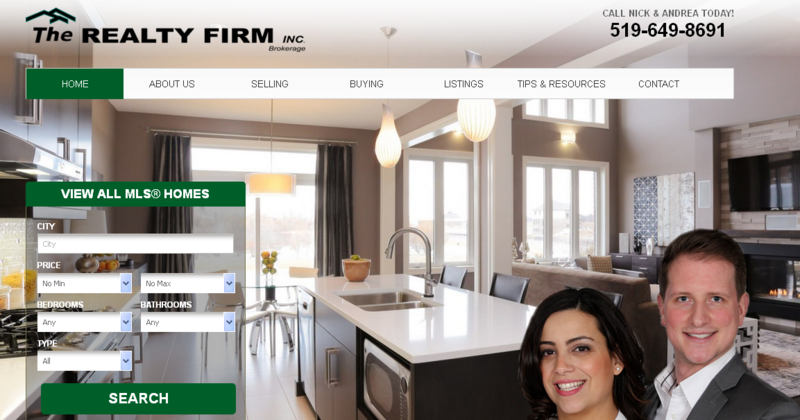 From the very start of your search to the day of your sale, whether it is a single family home, condo, investment property, cottage, farm, or commercial property that you are looking to buy or sell, we are here to help you with real estate choices. Searching for local MLS® property listings, relocation services and a referral service for relocation are also a value that we offer for the buyer or seller moving in or out of the local area real estate market.